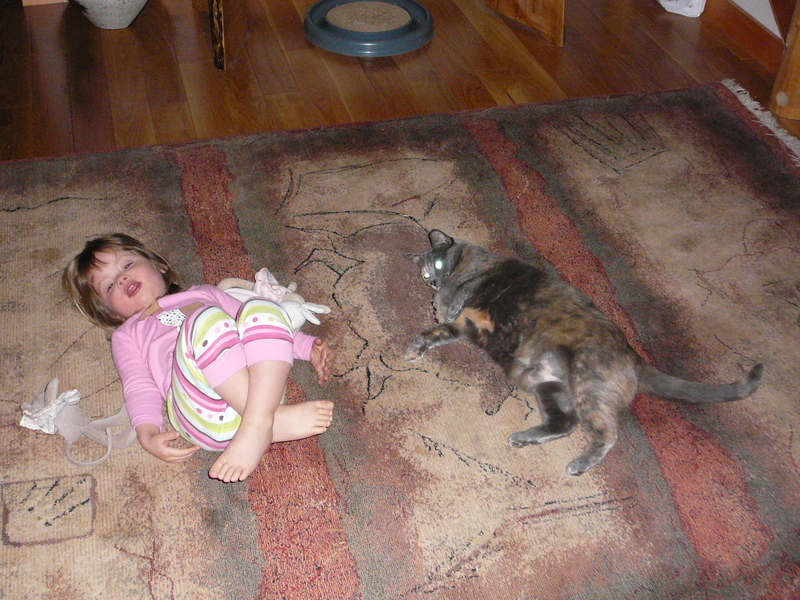 I found a few more pictures on Rick’s camera, and it reminded me of how differently the two cats reacted to a visit from a toddler. Not too surprising, given what we already know about their purrsonalities (intentional spelling!). Juno was right down there in the thick of it, playing and chasing the string around the table, rubbing up against her and generally having a great old time. 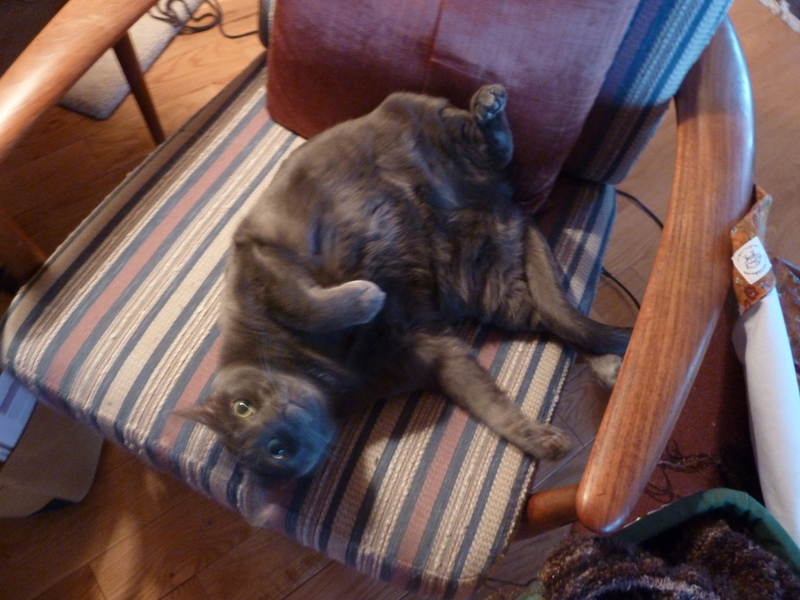 Stormy was much more circumspect. 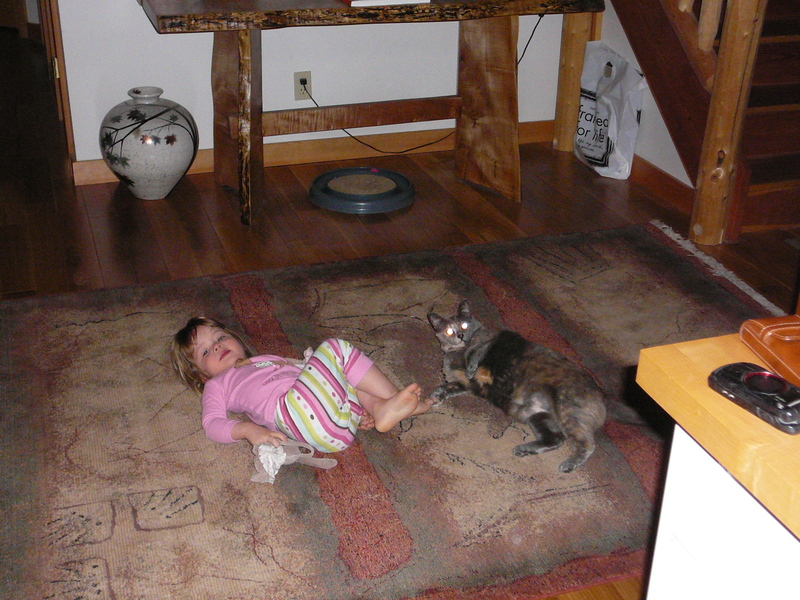 She didn’t really hide – just stayed upstairs most of the time, with occasional forays down to visit and play with some of her toys. When the little one went to bed at 8:30, she was right down there on her bench in front of the fireplace, or in one of our laps. You are all living my dream-beautiful house, environment, friends gathered outside, cats inside, self made art-made me smile. Thanks.